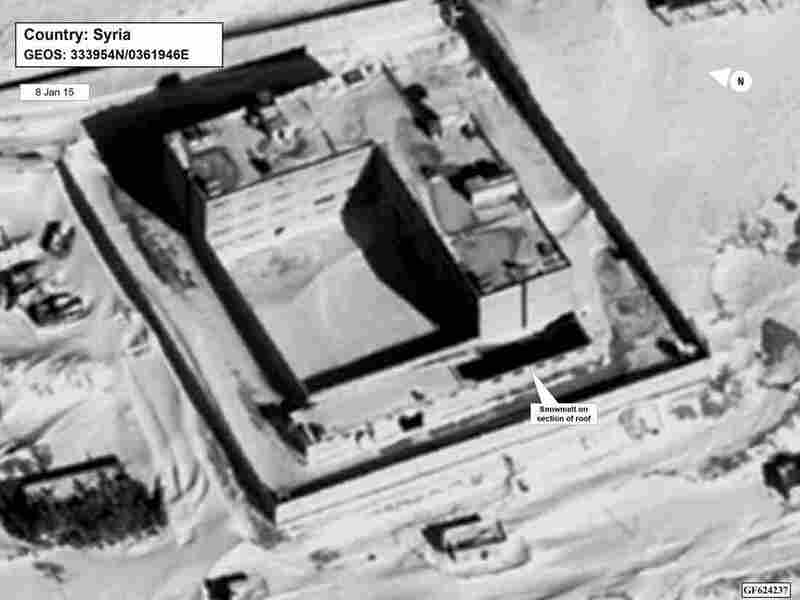 This image — taken via satellite in January 2015 — depicts what the State Department says is the crematorium at Saydnaya prison, including snowmelt on the facility’s roof that acting Assistant Secretary Stuart Jones says is proof of building’s higher temperature. The U.S. State Department laid out a new case against Syrian President Bashar Assad’s regime on Monday: Not only has the Syrian government committed mass atrocities at its military prison complex outside Damascus, but for years it has also added to the structure in order to burn and secretly dispose of thousands of its victims’ remains. “Beginning in 2013, the Syrian regime modified a building within the Saydnaya complex to support what we believe is a crematorium,” Stuart Jones, acting assistant secretary for near eastern affairs, told reporters at a special media briefing, circulating satellite photographs he says depict that crematorium. 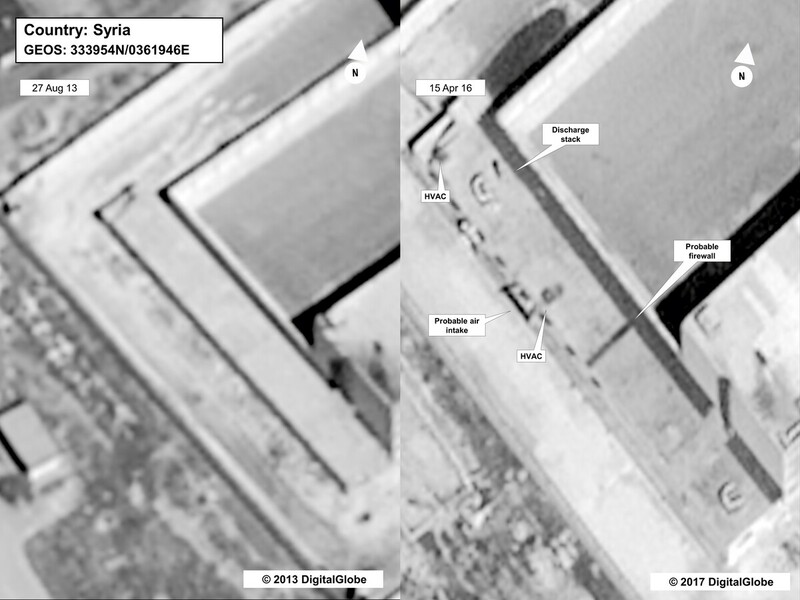 This satellite image depicts the same section of the Saydnaya facility in 2013 (left) and in 2015 (right). “If you look at the earliest photo,” acting Assistant Secretary Stuart Jones said, “this is during the construction phase.” He says construction on the alleged crematorium was finished by 2015. 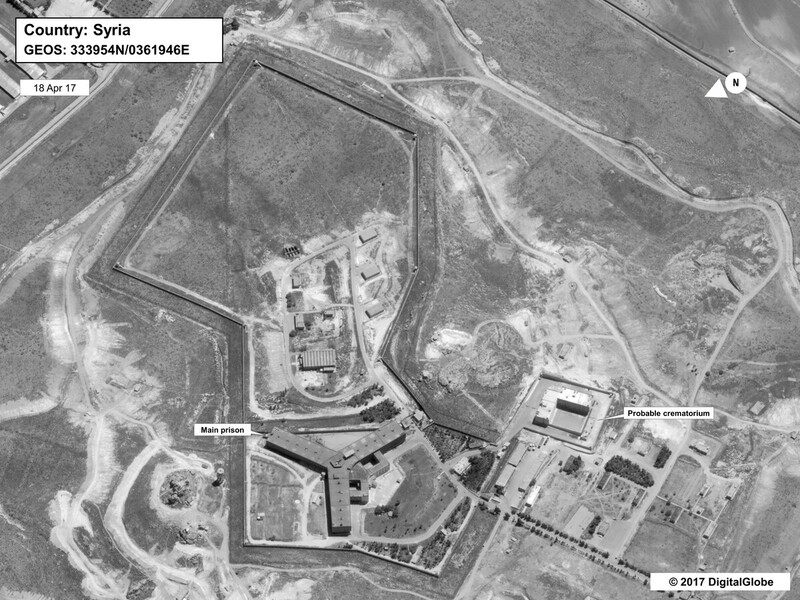 This satellite photograph taken on April 18 depicts what the State Department describes as a crematorium — in the bottom right of the image — built to dispose of the bodies of victims at Saydnaya military prison outside Damascus. Citing “credible sources” and data gathered by non-governmental organizations, Stuart stated that between 2011 and 2015, the Assad regime has abducted and detained as many as 117,000 people — and has killed as many as 50 detainees a day at Saydnaya. “We were requested by jailers to kill each other. Sometimes the wardens came with a knife or a rope, and they asked prisoners whether they had relatives or friends in prison. In his briefing Jones answered this defense indirectly, saying the alleged crematorium “could dispose of detainees’ remains with little evidence” once they had been hanged or otherwise killed. Though Jones spoke to U.S. media about the Syrian government, his message Monday did not appear directed at either party so much as at a pair of other countries: Syria’s allies, Russia and Iran. The Trump administration hit a Syrian airbase with a missile strike last month in retaliation for the regime’s deadly chemical attack in Idlib province — a unilateral strike that prompted a skirmish of words between U.S. and Russian officials. “Russia has either aided in or passively looked away as the regime has conducted an airstrike against a U.N. convoy, destroyed east Aleppo and used chemical weapons, including sarin, against civilians in Idlib province on April 4,” Jones elaborated Monday. Still, Jones said the State Department has not presented its evidence of the alleged crematorium directly to Russia — and he said they’re not prepared to signal much else publicly.